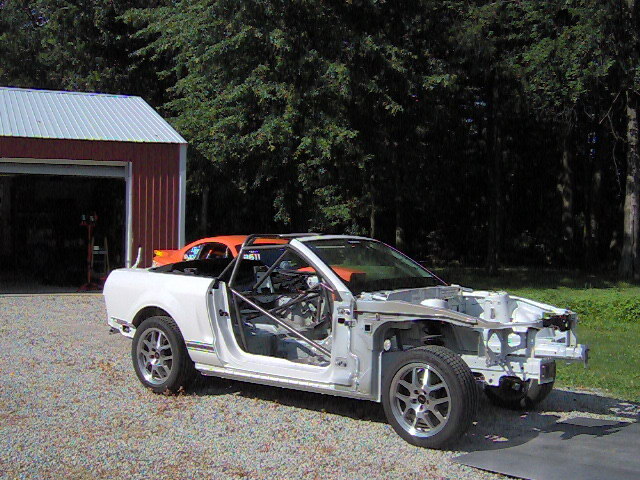 All fabrication was completed late in July and the Shelby was loaded up in the trailer to go to the paint shop. 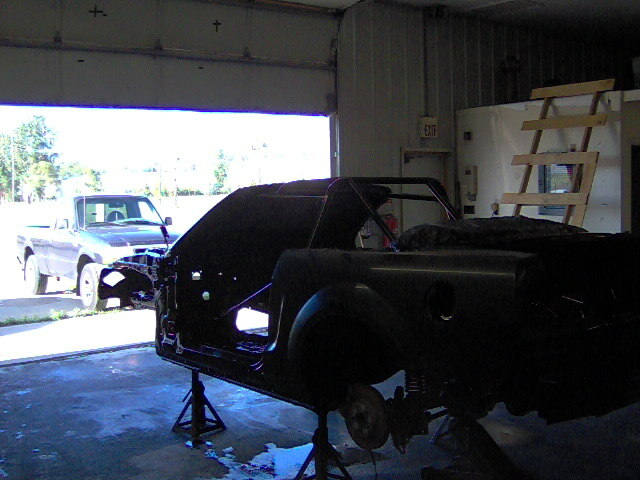 The Shelby will be painted by Joe Hodgeson. 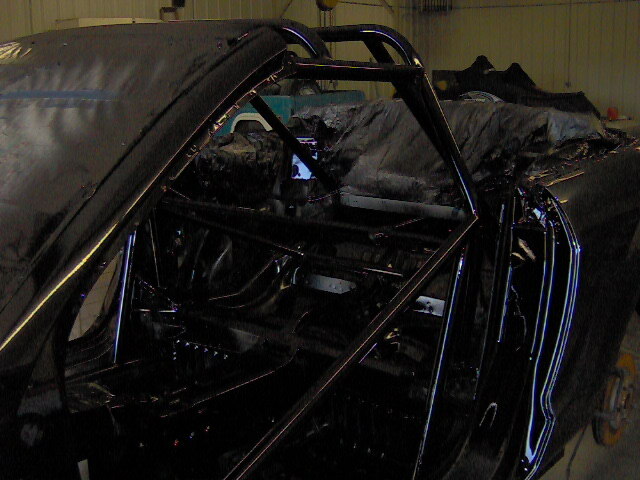 The Shelby was pained black. This is a picture of the engine compartment. 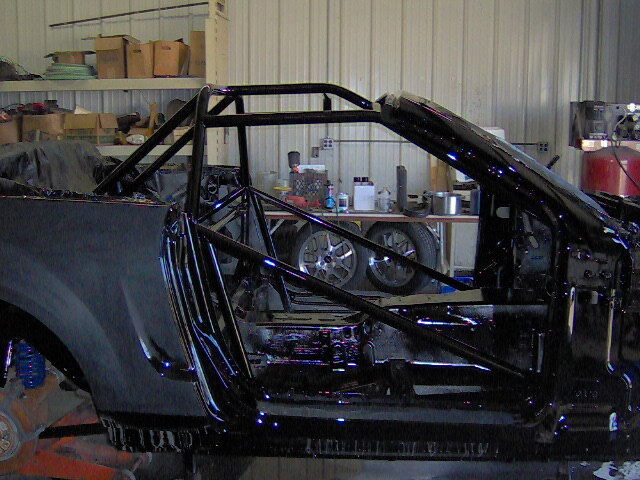 The interior and roll cage were also painted black. Joe Hodson wet sanding the quarter panels. 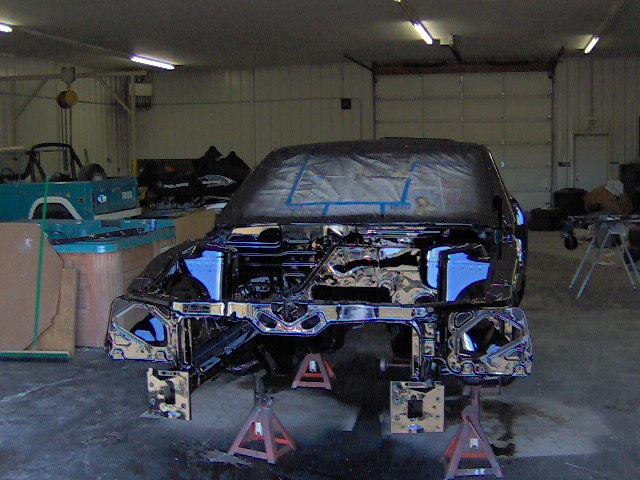 Drivers side quarter panel being wet sanded.